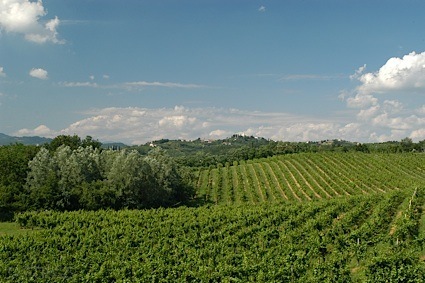 Bottom Line: An interesting super-fruity pinot noir that will work great at the table. 90 • 2Hawk 2014 Cabernet Franc, Rogue Valley 14.2% (USA) $30.00. 84 • 2Hawk NV Red-tail Red v.2, Rogue Valley 13.2% (USA) $22.00. 93 • 2Hawk 2016 Sauvignon Blanc, Rogue Valley 14.2% (USA) $18.00. 84 • 2Hawk 2016 Grenache Rosé, Rogue Valley 13.4% (USA) $22.00. 93 • 2Hawk 2015 Pinot Noir, Rogue Valley 13.5% (USA) $30.00. 83 • 2Hawk 2015 Viognier, Rogue Valley 14.5% (USA) $24.00. 94 • 2Hawk NV Plume Blanc v.1, Rogue Valley 14.2% (USA) $22.00. 92 • 2Hawk 2015 Malbec, Rogue Valley 14.1% (USA) $32.00. 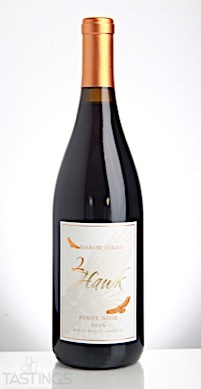 94 • 2Hawk 2014 Limited Reserve, Tempranillo, Southern Oregon 13.3% (USA) $42.00. 89 • 2Hawk 2016 Pinot Noir, Rogue Valley 14.1% (USA) $30.00. 93 • 2Hawk 2016 Darow Series, Pinot Noir, Rogue Valley 14.1% (USA) $42.00. 83 • 2Hawk 2016 Grenache, Rogue Valley 14.9% (USA) $32.00. 89 • 2Hawk 2016 Chardonnay, Rogue Valley 14.2% (USA) $26.00. 88 • 2Hawk 2017 Rosé, Grenache, Rogue Valley 13.4% (USA) $26.00. 90 • 2Hawk 2016 Darow Series, Viognier, Rogue Valley 14.5% (USA) $46.00. 85 • 2Hawk 2017 Viognier, Rogue Valley 13.8% (USA) $26.00. 2Hawk 2016 Darow Series, Pinot Noir, Rogue Valley rating was calculated by tastings.com to be 93 points out of 100 on 12/6/2017. Please note that MSRP may have changed since the date of our review.